Real Madrid made every one of the four of its tries in the round. Both Dom Dwyer and Giovani Do Santos, the initial two shooters conveyed by MLS, were halted by Real goalkeeper Luca Zidane (the mentor's child) and the crossbar, individually. 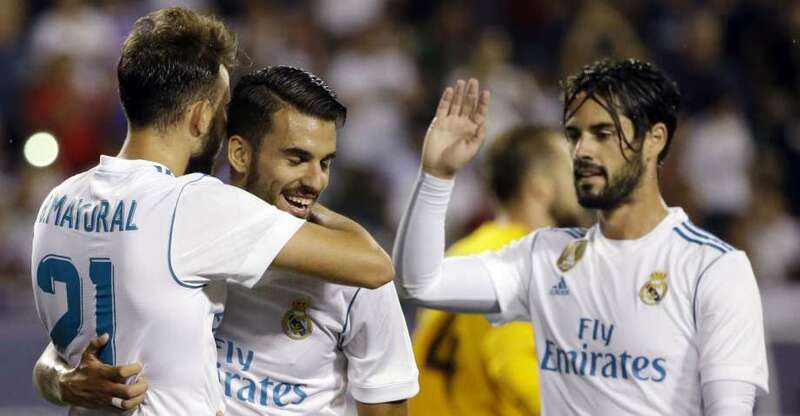 Madrid took a 1-0 lead simply inside the hour stamp, after an astute through go from Real's Dani Ceballos sent Borja Mayoral in alone against Frei. Mayoral's privilege footed shot scarcely beat a sliding tackle from MLS protector Dax McCarty before evading Frei's jump to one side. The All-Stars attracted level the 89th moment on an arrangement that looked like a pinball game. McCarty headed a corner from Diego Valeri that bobbed low off the correct post and after that hit partner Kellyn Acosta. Dwyer, who's made a sprinkle amid his short residency with the U.S. national group, got through the pack before the net and his header from shut in tied the diversion. The match came toward the finish of Real Madrid's mid year visit and of course, Zidane achieved profound into his seat to start the amusement. Without Cristiano Ronaldo, who did not make the visit, just four different players who began in the group's Champions League last win — safeguard Sergio Ramos, midfielders Toni Kroos and Isco, and goalkeeper Keylor Navas — were in the beginning lineup. Of those four, just Isco returned for the second half. Be that as it may, he exited simply past the hour check as a moment wave of Madrid starters — Marcelo, Gareth Bale, Casemiro and Karim Benzema — joined the activity. MLS mentor Veljko Paunovic pulled the remainder of his starters after halftime, and sent 10 new players out. Yet, that side was not any more compelling than the starters until the point when Dwyer leveled. Madrid had almost the majority of the early possibilities and Mayoral missed the best one in the 27th moment with a twisting drive from the highest point of the crate that was wide of the correct post. Safeguard Sergio Ramos missed the most engaging shot when he hustled into the container alone and attempted to chip goalkeeper Tim Howard just before halftime. The shameless endeavor flew over the crossbar. MLS protector Greg Garza endured an isolated shoulder only two minutes into the diversion when he was handled by Isco close midfield and fell hard on his correct side. He was supplanted by veteran DaMarcus Beasley five minutes after the fact. The All-Stars most obvious opportunity in the opening half highlighted a deft go from Kaka somewhere down in the container that set David Villa up from point-clear range. Be that as it may, Madrid's guard merged to cover the endeavor.